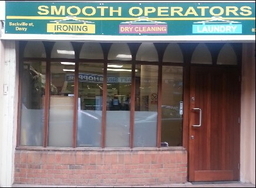 Smooth Operators is a family business owned and run by a team of friendly and knowledgable people. We aim to provide the number one cleaning service in the North West. Using hydro carbon drycleaning solvent, we provide the latest in drycleaning technology moving forward with new developements all the time. Being a one stop cleaning shop means that Smooth Operators also provide a full laundry service for bulky items like duvets, blankets and service washes. Sports kits, towels for hairdressers / beauty salons and hotel laundry also easilly catered for with our collection and delivery service available to both domestic and commercial customers. For our professionals we offer a great shirt service at competitive rates with a quick turn around for those in a hurry. And for busy households try our ironing services, it's the best anti-wrinkle treatment in town! We offer a free collection and delivery service. Either call in with us at the shop, or we can pick up at your home. Testimonials are curated by Smooth Operators and are not independently reviewed or verified. 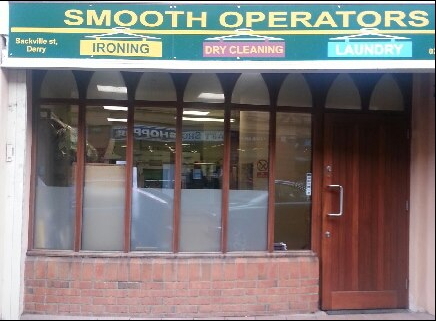 "Hi Deirdre, just wanted to thank your team of smooth operators for the wonderful ironing service they provide. With a young family and both of us at work, it can be difficult to stay on top of the laundry, but not anymore, and the free collection and delivery service makes it so convenient. We will certainly be using the service on a regular basis!" ""very efficient and friendly services""
"I visited the city of Derry last week for a wedding and i found myself in need of a drycleaner who offered an express service and the people i was staying with took me to youselves. I just wanted to thank you for your very efficient and friendly services, and to say that your counter staff were extremely helpful and knowledgable, this will stand you in good stead for the 2013 city of culture celebrations as visitors love to find friendly staff on their travels."